Moving in the Tuscon area can be difficult without the right local movers. 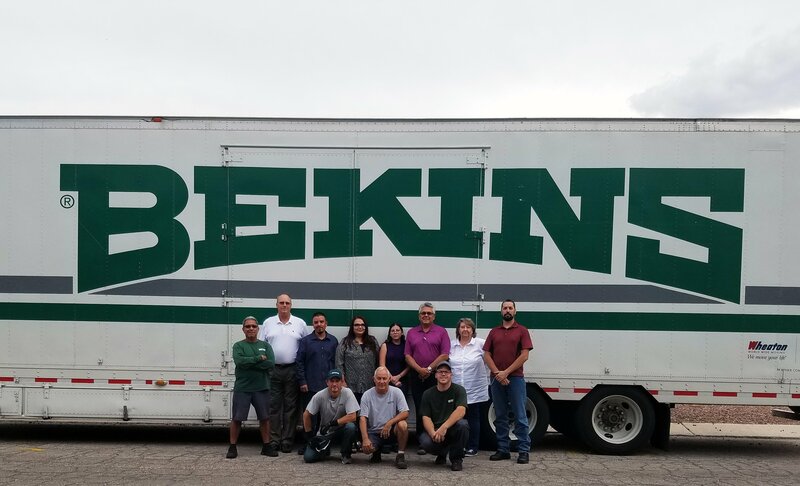 You can always count on Bekins Moving Solutions to provide a seamless transition into your new home or business location. We help residential and commercial clients with every aspect of their move. We are a full service mover that proudly serves the Tucson area with exceptional local moving services. We can help you get all the packing supplies necessary, carefully pack your items, and get them to your destination quickly and safely. You know when you hire our professional Tucson movers, that you are getting nothing but the utmost professionalism. All our staff is thoroughly background checked and trained in all aspects of moving. Don’t choose just any mover in Tucson! Choose the mover that you can trust. Choose Bekins Moving Solutions! Bekins Moving Solutions has a reputation for creating easy move experiences. Our movers in Tucson start way before the day of the move. Free, detailed move plans and budgetary cost proposals come standard with every job we do, so you always know what you’re getting and never pay for moving services you don’t need. In addition, furniture assembly and reassembly is included with each move – also free of charge. What services do you provide besides moving? In addition to moving, we also provide storage services. You do not have to move with us to store items in our warehouse. We offer services for both household storage and business storage. Additionally, we provide a service called Clear the Clutter, where we help customers declutter a home they are trying to sell in order to sell faster. If you book a move with us, we offer both full and partial packing services. All of these services are highly customizable to whatever need you may have. What type of equipment will I need for my move? If you plan to pack yourself, you’ll need to gather all the packing supplies you may need, such as boxes and packing tape. We can provide all these items for your move. If you hire us to pack for you, we will provide the necessary equipment to pack everything. You don’t have to worry about having equipment to load and unload the truck. That’s on us. Our movers will come to your home on moving day with all the supplies they need to load your belongings. To start, you should plan ahead. We cannot stress this enough. Feeling rushed can often result in poorly packed items, putting them at risk for damage. Planning can alleviate much of the worry, the anxiety, and the logistics of moving. If you know exactly what is coming with you on the trip, you can purchase packing materials for everything ahead of time. This extra time will also offer enough opportunity to pack everything safely and securely. Next, you should package up each room separately. Label every single box for each room and exactly what is going into the box. This is so when the time comes to unload everything, nothing is lost, and everything is exactly where you need it to be. If you have more questions about our movers in Tucson, AZ, contact Bekins Moving Solutions today. Call 520-918-0933 or visit our FAQ page!